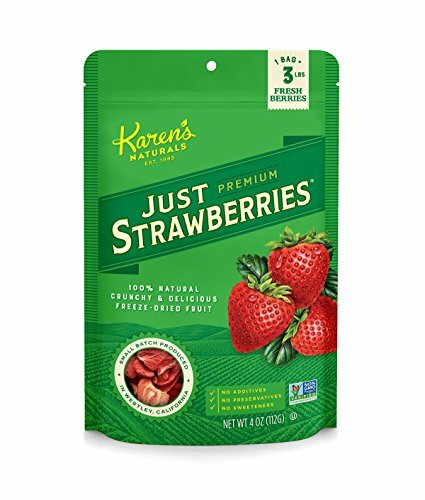 This colorful frosting has a naturally intense flavor and color, thanks to the addition of freeze-dried strawberries. Freeze-dried strawberries give this buttercream a vibrant flavor and color, without risking its stability or adding sweetness (as would be the case with fresh fruit or jam). 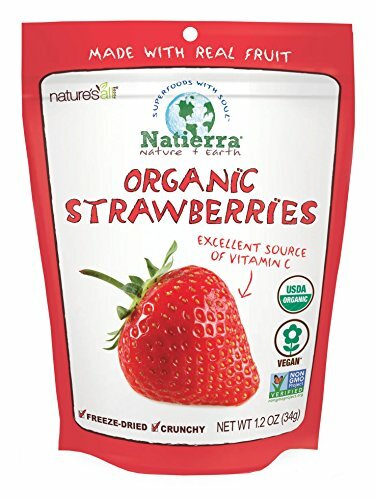 Look for packages in grocery stores like Trader Joe's and Whole Foods, or from brands like Natierra and Karen's Naturals in other supermarkets, and online. For more information on the overall technique, see our guide to making Swiss buttercream. Cream of tartar is acidic, adding a counterpoint to frosting's simple sweetness and highlighting the tart fruit flavor. A small amount of Chinese five-spice powder will intensify the strawberry aroma, without adding an overtly "spiced" note. Fill a wide pot with at least 1 1/2 inches of water, with a thick ring of crumpled tinfoil placed on the bottom to act as a "booster seat" that will prevent the bowl from touching the bottom of the pot. Place over high heat until steaming-hot and adjust temperature to maintain a gentle simmer. Combine egg whites, sugar, salt, and cream of tartar in the bowl of a stand mixer. Set over steaming water, stirring and scraping constantly with a flexible spatula, until egg whites hold steady at 185°F (85°C). This should take only 10 to 12 minutes, so if mixture seems to be moving slowly, simply turn up the heat. Once ready, transfer to a stand mixer fitted with a whisk attachment and whip at high speed about 10 minutes, until meringue is glossy, stiff, and cool to the touch, around 90°F (32°C). With mixer still running, add butter, 1 or 2 tablespoons at a time. Initially, the volume of the meringue may decrease; it may even seem soupy along the way, but as the cool butter is added, the mixture will begin to thicken and cool. In the end, buttercream should be thick, creamy, and soft, but not runny, around 72°F (22°C). Mix in vanilla extract, rose water (if using), and five-spice powder on low speed until well-combined. Re-whip a few seconds more; if problems arise, consult the troubleshooting guide below. Troubleshooting: If warmer than 74°F (23°C), the buttercream will be soft and loose; pop it in the fridge for 15 minutes and re-whip to help it thicken and cool. If colder than 68°F (20°C), the buttercream will be firm and dense, making it difficult to spread over cakes and slow to melt on the tongue, creating a greasy mouthfeel; to warm, briefly set over a pan of steaming water, just until you see the edges melting slightly. Re-whip to help it soften and warm. Full troubleshooting guide and video here. Once the buttercream's texture has been properly adjusted, grind the freeze-dried strawberries in a food processor until powdery and fine, with no visible chunks of fruit. Add this powder to the frosting, and re-whip until well-combined; reduce speed to low and drizzle in the liqueur or other liquids. Scrape the bowl and whisk attachment and whip 1 minute more, to ensure no unmixed trace of strawberry powder remains. Use immediately or transfer to an airtight container and refrigerate until needed, up to 1 week. The flavor will intensify slightly over the course of 24 hours. Thaw chilled buttercream to about 72°F (22°C) and re-whip before use. This recipe works well with any cake, especially a strawberry layer cake. This recipe will work equally well with other types of freeze-dried fruit, although some may require sifting to remove pesky seeds. With other fruits, the type of spice and liqueur may need to be adjusted. For example, blueberry pairs well with coriander and limoncello; cherry can be highlighted by amaretto; mango works well with cardamom and tequila; banana is intensified by ground cloves and rum. Let your own intuition and cravings be your guide, or consult a book like the The Flavor Thesaurus for more ideas on flavor pairings. In an airtight container, the buttercream can be refrigerated up to 1 week or frozen for a month. Thaw chilled buttercream to about 72°F (22°C), and re-whip before use.